We feel proud to present the following prestigious certifications earned by Win Tonic. These global certifications confirm the reliability of our product to the highest level. Win Tonic is committed to offer the desired results to its customers always. The AppEsteem certification of Win Tonic ensures that it completely meets the standards and requirements of the most extensive security guidelines. It entirely passed the rigorous multi-level technical review to be called an AppEsteem certified app. With Win Tonic, you are assured to stay protected on your Windows PC and in the online world as well. Get a quick glance into its rich features. 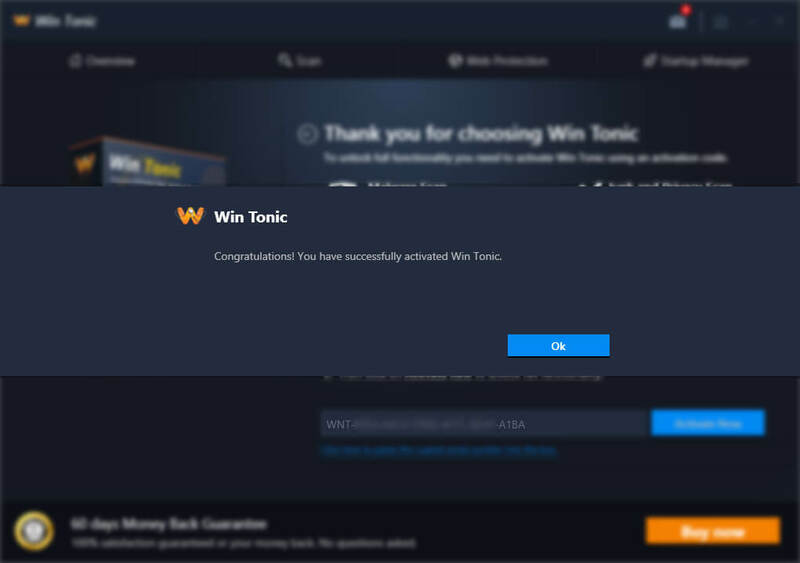 Win Tonic is by far the best system maintenance software. 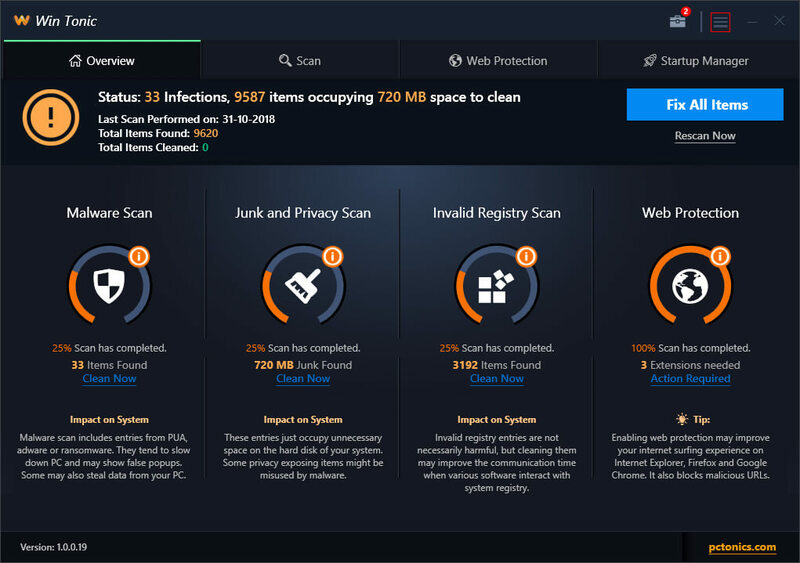 Users can easily clean annoying junk files and remove private information from their systems to enjoy a much cleaner and faster PC. Not just this, you can easily boost startup time with Win Tonic’s Startup Manager. Download it now to say goodbye to a slow PC! It supports complete browser protection against latest online threats (ad-free browsing, homepage protection, infected downloads, scams etc.) on major browsers like Chrome, Firefox and IE. 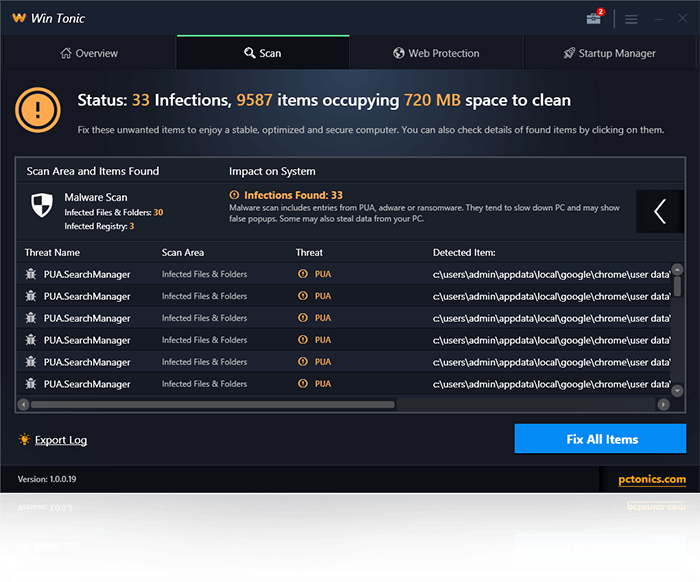 Win Tonic is a superb junk cleaner as well as registry cleaner. 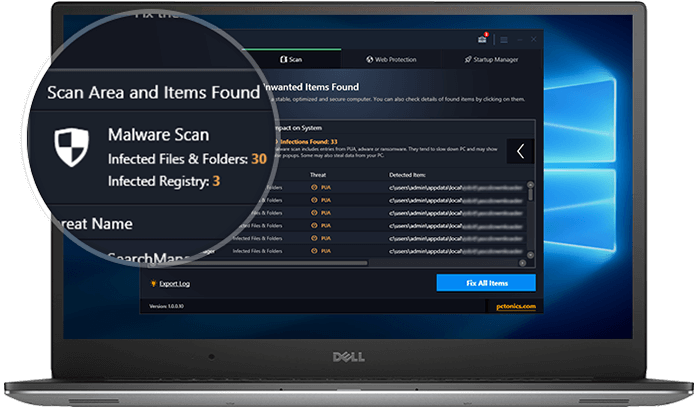 The Junk and Privacy Scan feature of the software finds all the junk files which are compromising your privacy and occupying unnecessary storage space on your system. On the other hand, the Invalid Registry Scan of the software finds all the invalid registries and removes them to improve your system response time. 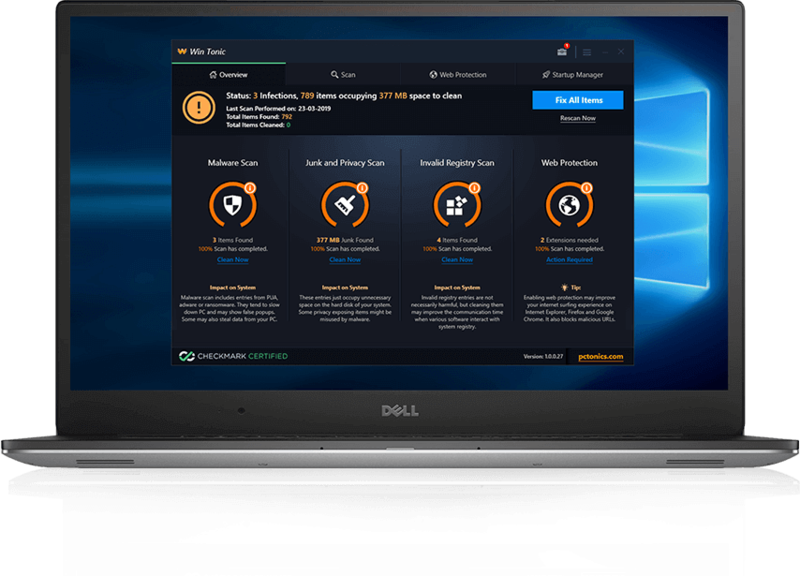 Detects active ransomware and other malware infections that can affect your system leaving you vulnerable to attackers. 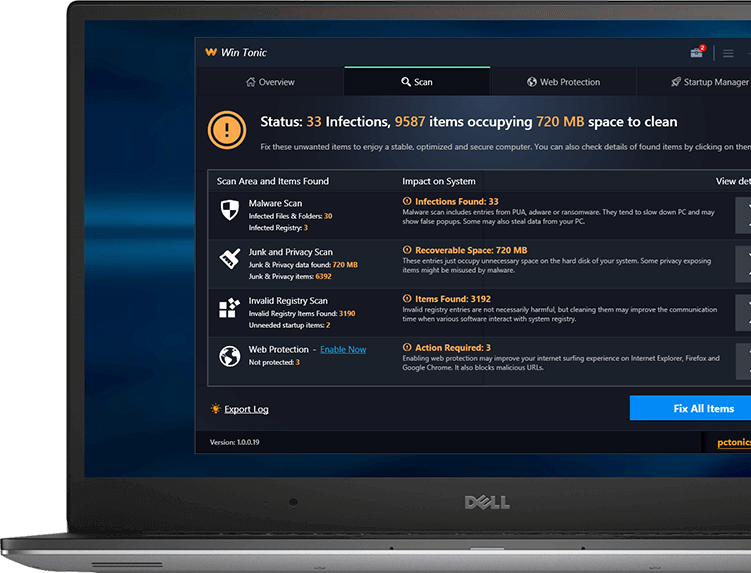 Detects active malware infections that can affect your system leaving you vulnerable to attackers. Removes temporary files, memory dumps, unwanted data and privacy traces that can lead to data theft. Cleaning invalid registries can considerably improve your system response time and performance. Improve your web surfing experience on all major browsers with Ad-Blocker’s Web Protection. 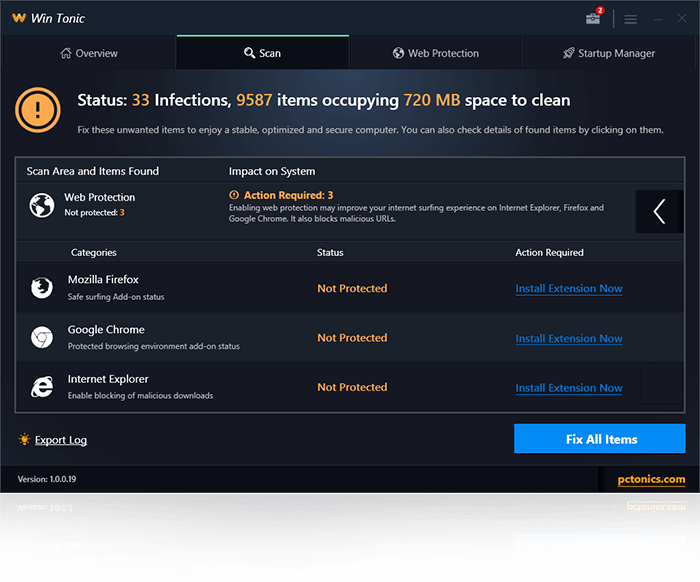 Win Tonic is a complete cleaning and protection utility for your Windows system. 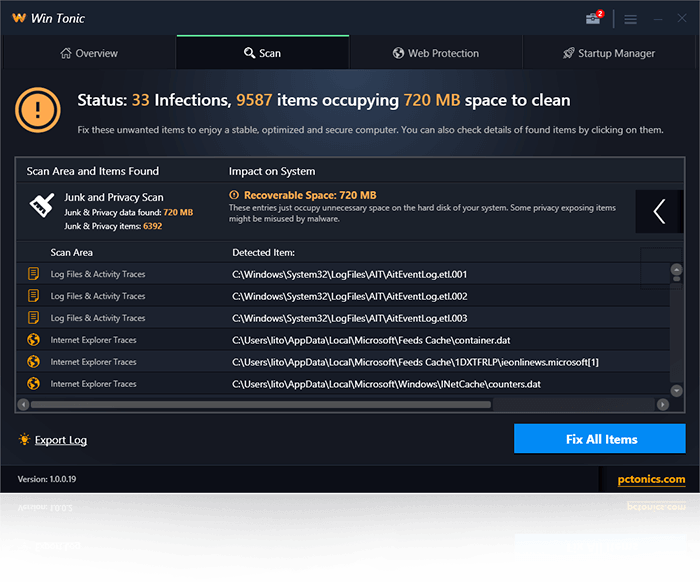 With this tool, you can clean disk space and boost system speed to a whole new level. 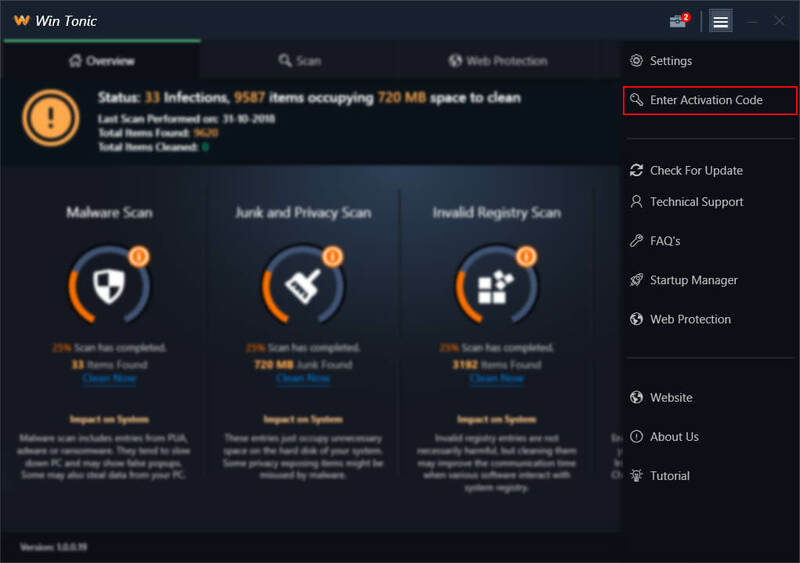 Win Tonic boosts system startup time, cleans unnecessary junk files and removes private information from your system to give you a faster PC. It also improves your browsing speed and makes your online activity safe & secure. It is the best optimization utility to clean, boost and secure your system. What are the system requirements for Win Tonic? Why does my system need Win Tonic? A Windows system is usually full of lots of junk files and is also susceptible to various malware infections. Therefore, your system needs a utility to keep itself protected and perform well at all times. 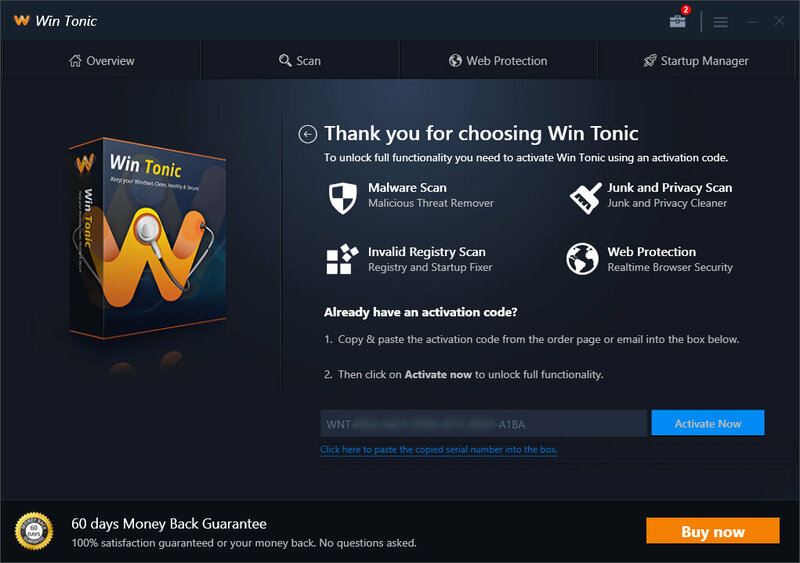 With Win Tonic, you are assured to stay protected on your Windows PC and in the online world as well. Win Tonic also supports complete browser protection on major browsers. It improves your browser security by blocking infected websites and downloads for you. How to activate Win Tonic? Step 1: Launch Win Tonic. Step 2: Go to the Settings panel on the top right of the application screen. Step 3: Click on ‘Enter License Key’ button in the settings panel. Step 4: Now, click on ‘Buy Now’ button on the screen that appears to purchase the Activation Code. If you already have an Activation Code, jump to ‘Step 7’. Step 7: Now, copy the Activation Code & paste it into the text box that appears on the application screen or click on the ‘Click here to paste the copied Activation Code into the box.’ button to automatically paste the copied Activation Code. Step 9: Win Tonic will be activated. You can always mail us at support@pctonics.com . You can even create a support ticket for any feedback or assistance. 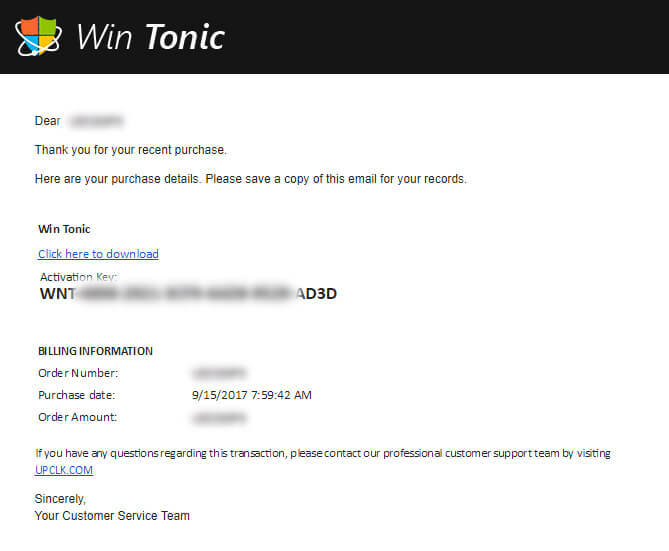 Win Tonic is safe to use. 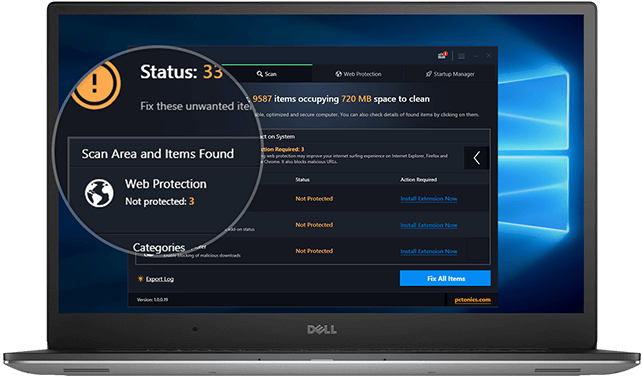 It cleans and protects your system and keeps your privacy intact. You won’t need any other security tool.